I’m not exactly counting scores right now. It’s in between “seasons” for golf and the GHIN handicap system is down for the winter so you can’t register rounds towards your handicap and I’m more working on how to play a round of golf shot by shot instead of worrying about what I’m shooting. Also, It’s 34 degrees out and the greens are frozen, so the game is playing a bit strange right now. It’s the best of both worlds, you get the ball flight of a cold winter day, lots of plugged balls in the fairways and rock hard Arizona-style greens. It’s a wonderful time to work on your game, but not the best time of the year to concern yourself with a final number at the end of the day. So, this winter is all about learning how to play shot by shot, fine-tuning contact with all shots and furthering the putting game. One thing that I’m curious about is what will happen when the machine turns back on in February. By then, I’ll have a couple of months of learning how to actually play a full round, I’ll have all 14 club (Nike is making them as I type and sending them to Atlanta for when I arrive there, Thank you Nike!) and with a bit of practice my contact should be a hair better in general by then, or at least one would hope. If anyone out there is interested in participating, let’s have a guessing game as to what my first handicap will be when the system refreshes with new rounds in February. It goes “live” again February 1 but then will take two weeks to add in new rounds, so take a guess at what my handicap will be on February 15. For the record, my last handicap, November 30, was 11.4. From February 1st through the 14th I will probably get in about 6-8 rounds. 45 Responses to "Betting time, again"
12.6. See you in Atlanta! I’ll guess 9.8. Keep up the good work and happy holidays! Personally, I think it will be 10.8. I think you will improve slightly, but with the winter hindering your practice a bit, it might slow you down. I’m betting by late spring though it will improve even more. Of course I don’t understand anything about handicaps other than the lower it is the better! I think your best indicators for the next couple of months will be how you play against others during rounds. I’m guessing 10.2. Keep it up! To be honest (and dont take me wrong here! ), I will say that comes February, I truly hope you dont talk about handicaps anymore, but your “today’s score”. Pros play for the score (and money). They want to wrestle with the course. Beat it. And show that they are better than the course and its designer. I completely agree. For me, this number is just a fun way to see progress, but when I’m out on the links I’m just looking at one shot at a time. Good point and thank you for the comment! Congratulations on your training to date. I truly believe that you are becoming an ‘expert’ at deliberate practice. I’m going to guess at 9.6! Good luck with everything. Given the playing conditions, I’m going to guess that it will stay the same: 11.4. But I sincerely hope you prove me wrong and come in under 10! Hi Dan I am guessing by the way you approach the game I know no matter the weather you will improve so I will say around 8.0 maybe even lower…keep up the good work and you inspire us all to be better! I love reading your blog btw. I hope you succeed in this great project. I go for 9.2. I wish you ll regularly break 80 by then. In any case wishing you already loads of birdies in the new year. 10.6 handicap if that putting stroke continues to be solid. Sometimes getting those big clubs in your bag can cause more trouble than you might think. Have fun! 9.7! Awesome logo on the ball! I would say 10.5. Tough to move it much in 2 weeks. A thought on your last post. You are an 11 handicap now, that means that basically you should miss 11 shots per round. Don’t get upset until you get to 12. Ciao Dan, I guess 10.2 on 15th Feb then a fast decrease. You are a great example for everybody, not only in golf. People begin to speak about you great Plan also here in Italy. 10.9 – because that is what I’m on right now myself! Only you’re going down fast. I’m just dreaming fast of going down. Put me down for 10.5, but then accelerating improvement come the spring. I have a general question for you: Your daily schedule shows a bunch of mindfulness meditation, cognitive exercise, and other non-golf-specific disciplines. Have these affected your life experience off the course? If so, has the effect been cumulative? I’ll go for 10.1. Blog is great , you have a bunch of people following you here in Ireland. I believe that if you read the Inner Game book I recommended to you sometime back, I believe your handicapt will be right at around 10.0. If you haven’t read the book by the time you get your 6-8 rounds in for Febrary 2012, I believe your handicap will be around 10.5-10.7. I guess nobody has chosen 9.2. Good luck, keep up the strong discipline. 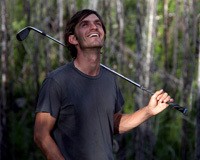 I think discipline and determination will be wonderful things you would have achieved regardless of the golf results. It is the journey, not the destination. Thank you all for the guesses and keep them coming! I’m very excited about getting out there every day and trying to get better, who knows where we’ll be come mid February.. Shooting for the stars! Thank you for the question. It has changed my in so many ways. In a sense, I am a completely different person now. I feel like my level of patience and understanding has grown tremendously since beginning The Dan Plan and I don’t seem to get frustrated when things don’t go my way, rather take a step back and ask myself why I assume things would go my way. It’s been a blessing on and off of the course. Thanks for your response, Dan! I hope you’ll write a post about the ways in which your life has changed off the course. It seems clear to me that The Dan Plan is a big win no matter what happens to your handicap. I’m thinking that the early season rounds when the GHIN comes up again will be tough scoring. The weather is likely to be very poor with rain and cool temperatures, sloppy fairways and the greens will not have really started growing yet and will be slow and bumpy. You will be acclimating to some new clubs in the bag and I think it is possible that good scores won’t come along until later in the spring. Offsetting all this is your steady improvement and practice. Since you’re at 11.4 now I’m guessing you can ease it down just a little in the first 6 or 8 rounds. I’ll say 10.5 for 1st updated posting in the spring but I expect to see 6 or 7 by mid June. Good luck! I’ll guess the lucky 13 for your handicap. Stat: losing 7 balls on poor drives caused me to shoot about 94 today. So taking shot 3 instead of 1 7 times and you only shot a 94? Doesn’t that translate into an 80 without any O.B shots. Also why do you say about 94? Hmm, guess it wouldn’t have been that bad of a round “if” I hadn’t knocked 7 OB, there’s always an “if” though.. Will be working on limiting those down the road. I say “about” just because I didn’t keep score. A guy I was playing with kept the score and as diligent as he was, it’s hard to say it was a concrete score when I didn’t keep the numbers. Keep going with it Dan, what you’re doing is impressive. Thank you everyone for the guesses. I’m officially closing the guessing as I just realized that a couple of the courses I play here in Georgia are not observing an “inactive season” and I can start posting scores today. Everything is good to go, can’t wait to see what the handicap is come February 15! 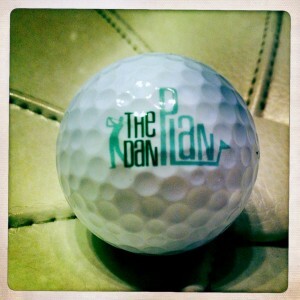 Thank you all for the guesses and I look forward to mailing that sleeve of Dan Plan balls out to the winner soon.